Not managing to ‘Xscape’ abroad to the sunshine this half-term? Don’t panic, why not ‘Xscape’ to somewhere a lot closer to home with the kids for a week of monsters, thrills and even some awesome ninja moves. 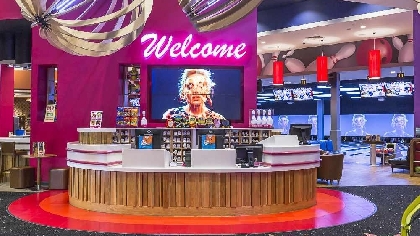 This half-term at Xscape Milton Keynes, Hollywood Bowl turns into ‘Monster Bowl’, as they run activities and prize-winning opportunities throughout the week. Take a photo behind the Monster Bowl stand and upload to Facebook tagging the main Hollywood Bowl Facebook page for a chance to win a year’s family bowling. Or maybe you can get that all important strike when a Monster Pin is at the front and you could win any number of prizes from free drinks to a year’s family bowling pass; there are thousands of prizes to be won. Maybe a trip to the movies is more up your street. Head to Cineworld for the very latest movie action including the smash-hit Lego Ninjago Movie where Ninjas and Samurai take on dragons and snake-men. Or for older kids, introduce them to the Blade Runner franchise with Blade Runner 2049. Set thirty years after the first film, it’s Ryan Gosling’s turn to play the hero. And that’s not all, you can book your very own indoor sky-diving experience at iFly, maybe grab a meal with friends at one of the many restaurants or even just hit the shops for the latest must-have winter coat. Plus remember, the British weather can’t even spoil the fun as it never rains in Xscape Milton Keynes. For more information on all half-term activities happening at Xscape Milton Keynes visit www.xscape.co.uk or follow them on Facebook and Twitter.